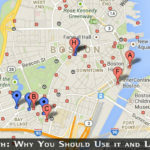 BloggingTips.Guru SEO Anchor Texts- What They are, What They do and How to Use Them Effectively? Writing quality content is important for getting high rankings on search engines. But there are some other important points and facts to remember and use as well if you wish to have your site on the top Google rankings. 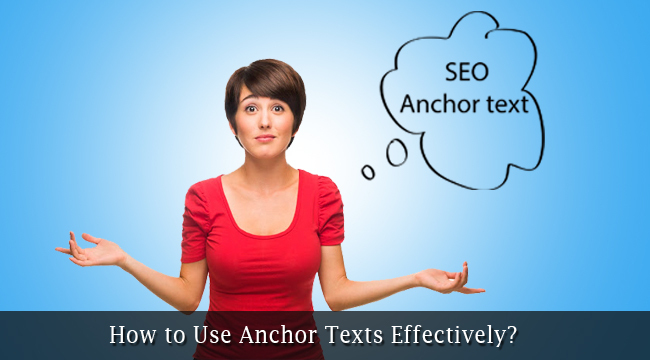 Anchor texts are the best way to have proper linking of your site and help a great deal to have your website on the top search engine rankings. In simple words, anchor text is clickable text in the link. There are two benefits that we can enjoy with proper use of the anchor texts. These are garnering higher SEO value and increasing the click-through rates. How to Use Anchor Texts Properly? There are indeed some important tips available that help tremendously in applying the anchor texts effectively within a site and achieve great search engine rankings. Proper use and placement of the anchor texts in a site ultimately delivers results through attracting more of visitors and moving the site closer to top search engine rankings. It is important to note that the search engine crawlers or spiders consider these anchor texts in first link of the web page only when various links lead to some page with same URL. Thus, you need to place the targeted keyword or phrase in the first link. 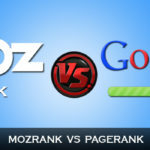 Also, to get best rankings, it is wise to use the backlinks that contain the anchor text for the useful pages. Not just does this keep the visitors satisfied and happy, but it even adds to the natural flow of what the people will choose while reading the content and thus making detour through the link i.e. something that Google really likes and appreciates. You can even use various anchor texts with the main keywords. Ensure that you choose 3 to 4 primary keywords and phrases to use them as anchor texts on various sites. Having a number of relevant phrases that point to your website may raise the red alarm at Google and your site may be penalized. So, it is better to use variations in your keywords and phrases in the anchor text and then use them effectively. You further need to use the anchor texts in natural way and do not use same text while linking from the other properties, blogs or articles. A fact is that it is best to use a range of anchor texts with 50 percent of them having the main targeted text or keyword. Where to Put Anchor Texts? 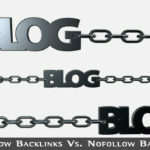 Further, do not ever restrict yourself to putting anchor texts on some sites which offer the backlinks. You can even write some good quality articles and publish or submit them to the article directories, submit the link of your site to website directories, comment on the do-follow blogs, carry out social bookmarking and participate in forums with the link in signature. All these strategies help brilliantly to add links to the Google search and allow you to have more awareness of your own business or brand by using proper and effective anchor texts. Last but not least, never over do the anchor texts. Many links look bad and so just 3 to 4 anchor texts per post is okay.